Invest in Industrial Property. Invest like the professionals. So, we’ve all heard that the industrial property market is a great sector. The industrial sector was the highest performing sector of the real estate market in South Africa in recent times. Invest in Industrial Property using the advice of those who have done it all before. How to Invest in Industrial Property and what is the best way to go about it? Small to medium sized factories – often found in complexes. An industrial zoning has far broader usages than residential. This affords an owner of industrial property many different types of usages should the need ever be required. Industrially zoned areas are found in most cities and towns. Depending on the age of the city, industrial suburbs may be in a range of locations within such city or town. During the last eight years, interest rates have been low, and the Rand has been strong. This has fueled the growth of a range of different types of businesses. Many small businesses have grown out of homes. The most cost-effective step after that is in a predominantly industrial property. Larger and more established companies just needed more space. In searching for new premises, most businesses realised it was almost as cost effective to purchase as it was to rent. Consequently, many tenants became owners. At the same time as this growth in demand, building costs rose significantly. The result was rewarded those early purchasers and creating an urgency for those still wanting to purchase. Higher construction costs, shortage of suitable land, coupled with increased demand led to excellent growth in industrial rentals. Further growth is anticipated. Directly held (the most widely used method of ownership and that concentrated on in this article). Property can be purchased vacant or with the tenant(s). 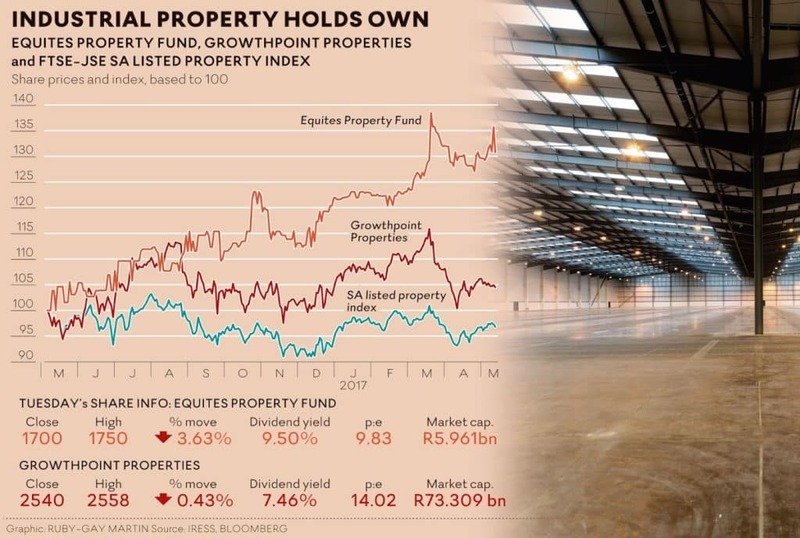 Listed property funds (although most funds are not industrially orientated, the listed sector on the JSE has grown significantly during the last few years). This is a more liquid form of holding property but also suffers from the fluctuations of the stock market. Get to know the advantages of REITs. Syndications (while joint ownership is fundamentally a good principle, investors are urged to act with extreme caution. There are good and “not-so-good” syndication companies operating in SA). How is industrial property different to residential property? Users/ tenants of industrial property evaluate premises in a more businesslike, unemotional manner, following market rental and Rand/ Square metre norms. Leases of Industrial property are structured differently to residential leases (usually longer than two years and have fixed escalations each year. Escalations are typically in the 8% to 10% per annum compounded range. Purchasing of industrial property usually involves a lot more research. It takes more time than a residential purchase. Financing of industrial property is a far more intricate and in-depth procedure than residential property. It also usually requires a larger initial capital commitment than residential property. A purchaser of industrial property needs to be well advised on aspects such as legal framework, value-added taxes versus transfer duties, accounting, and taxation. Valuation of industrial property is primarily linked to the net income the property can generate (after all expenses). Industrial property yields a far higher income return than residential property, but sometimes offers a lower capital return than residential. Auction (no longer is industrial property sold on auction a forced sale. Auctioning has become a mainstream method of selling. Purchasers need to be aware that these sales are cash sales and one does need immediate access to the full purchase price plus agent’s commission plus VAT or transfer duty). Private Treaty (still the most popular method of sale – handled mainly by brokers specialising in industrial property). How does one go about finding suitable industrial properties to purchase? Determine a broad location where one wants to invest. Drive around the area(s) and make sure one knows the area and the types of businesses operating from the area. Contact property brokers (more than 2) specialising in the area as well as specialising in sales and renting of industrial properties. Preferably speak to the best property agents. Have discussions with them on what they think would suit you and what is the type of industrial property in highest demand by tenants. Check on the area statistics. Have a look at real properties for sale – physically and financially. Make sure you get given enough information up front. Contact a financier/ bank for advice on one’s circumstances with particular regard to your investment in industrial property. Consult with your accountant/ lawyer to make sure any intended offer to purchase will be correctly structured to suit one’s circumstances. Evaluate all industrial investment alternatives and select two that one is happy with. This provides a basis for comparison. A correctly structured offer should be made to (or “intending to”) negotiating to close the transaction. Keep calm and unemotional throughout the whole process and be prepared to walk away from anything one does not feel comfortable with. The Site. Location – macro and micro. Land and Building Inspection. Also, age and condition of buildings. The flexibility of premises. Specialised facilities have a smaller chance of getting rented out if a new tenant needs to be found. Background on the Seller. Who is selling and why?. Title Deeds, formal legal description, and size of land. Municipal valuation and resultant monthly charges. Town Planning conditions and Zoning Certificate. A copy of Approved Building Plans. Tenants?. If so, tenant mix & description. Copies of all current leases. Are the rentals market-related? Monthly levies of the unit being purchased?. How are the parking bays owned? Newcomers to investing in industrial (and commercial) property should not underestimate the tedious process one will have to go through to arrange finance, should this be required. You have been warned, but please do not let this put you off!. All banks arranging non-residential finance go through different in-depth processes to evaluate non-residential loans. The purchaser will have to submit mounds of documentation relating to both the buyer as well as the property and its tenants. Allow for at least 21 days (at the very quickest) for a loan approval. Depending on one’s bank, one may be referred to a non-residential lending division. Always go to more than one bank, even if it is just to keep one’s bank honest and competitive. At least 35% of the pre-VAT purchase price as a capital down-payment on the date of transfer. This may be more or less, depending on the client. The lending rate will not be as low as residential loans. Prime less 1% is usually a magnificent offer from a bank, but this could be as high as prime plus 1%. Loans are paid off over ten years. (Residential is usually 20 years or more). This has the negative cash flow effect of having to pay far more in bond repayments, but the positive impact of one’s bond being paid off far quicker than a residential property. Read the small print. There may be hidden clauses like penalties if a property is sold within the first three years, or that one needs to give the bank three months notice before a bond can be cancelled. Just as a property purchase takes time to initiate and get transferred into one’s name, one needs to consider the “non-liquid” nature of industrial (and other forms of) property when selling. Importantly, one will not be able to initiate a sale and expect to realise funds from the sale in a hurry. Therefore, do not purchase a property if one may need the funds in the short term. 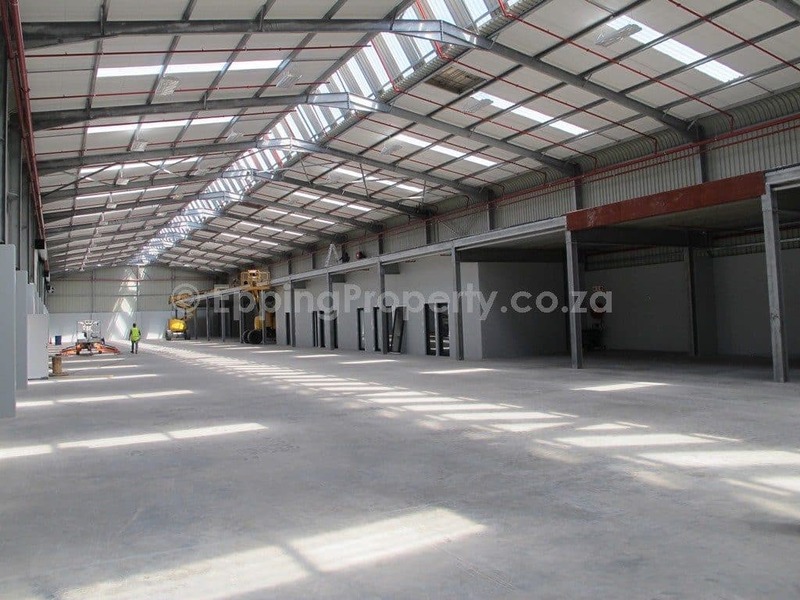 Industrial property must be seen as a three year+ investment. Is the Industrial property market likely to remain active into the foreseeable future? There is no doubt that the current depressed global economy and the strong Rand are having a dampening effect on the industrial sector. 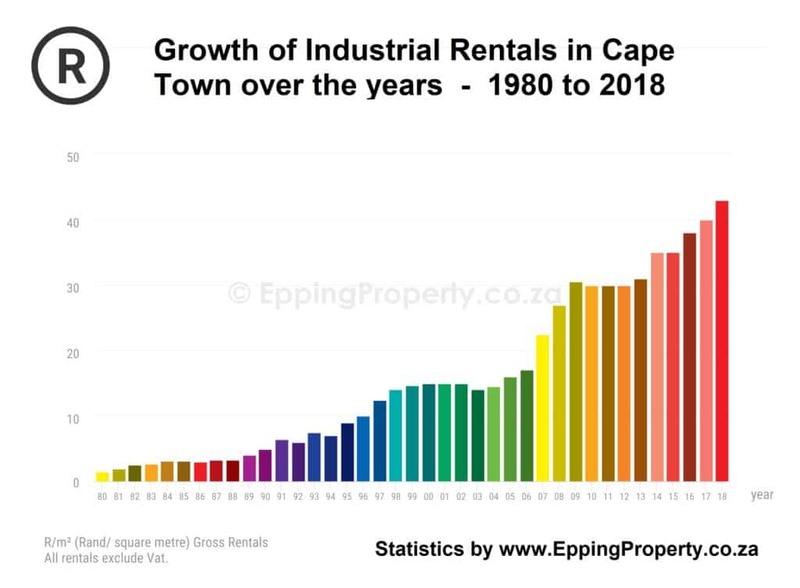 Accordingly, tenants are more likely to seek less expensive premises as the squeeze on growth in the SA economy gathers a grip. However, the industrial sector should merely slow down from its frantic pace during the last three years to a reasonable speed. Furthermore, rental growth should still outpace inflation for at least three years. While one needs to keep a close watch on the economy and consequently one’s industrial investments, the outlook for the next three years remains stable at this stage. Invest in Industrial Property for the future!